I see a man watching in anticipation, clothed in simple garb, yet there is a military purpose to what he is doing, and even what he is wearing. Leather chest gear crested with military adornments, strongly tattered and worn this remnant it rests comfortably on his frame, worn by use, not gaudy or pomp in any way, a simple uniform yet one of rank. All the ornaments of war either hang on his strong back or stand in ready stead at his feet. The tassels of rank are as unkempt as his seemingly un-interest in them. Our aging warrior, whose years are not shown by the strength exhibited in his shoulders, which clearly have carried many burdens through the years, looks on in quiet anticipation. He wears his constant smile from ear to ear, yet as he smiles, eyes remain glued on every individual that passes by, scanning the ever passing crowd for people of marked recognition, yet at the same time his ever attentive ear is also turned to the One who stands next to him. Peter listens with intensity as if his very breath rests on every word spoken from the Companion to his right. Because it does! Clothed in white linen, brighter then the brightest Sun, Peter’s Companion speaks softly into his ear, gently suggesting who and which is to be pulled momentarily out of the procession. The marching flow passes within feet of our two observers, many hardly noticing Peter and his Holy Companion as they pass, but the angels notice, for around the Companion is an area of respect shining out of His Being like a blast of white hot furnace, stronger then the whitest sun and purer then hottest fire. As the flying angels whisk to and fro beyond, they seem never to quite touch the edge of the searing light, and certainly never penetrate, ever eager to get near and then turning at the last moment out of fearful respect. There are others dressed in similar military garb as well, alike in design to Peter’s yet of obvious lesser rank, these individuals are running back and forth from Peter to touch the flowing group. One might think that Peter is signaling which in the procession is to be selected, but upon closer examination it is clear that the One in White is making all of the decisions. Clear if by no other impression then the sheer intensity of the radiant light surrounding Him and centering within all that moves or proceeds. Racing back and forth are these foot soldiers, these officer’s running to the procession and gently pulling people out of the flowing army and directing them back to Peter. A couple of these foot soldiers are men, some women, and some even children, each running and grabbing a directed person from the marching horde and then directing them back to the waiting Companions. Some of people selected are also being directed by angels themselves, and some people just step out on their own by some inaudible nudge. These people each step up one by one and hold out their hand, many not even fathoming what they hope to receive, or the significance of the mustard seed they are about to touch. If one looks hard at the people standing before Peter and Jesus, one might just make out the image of war garb resting on each of these waiting people, it rests on them like a shadow or a gentle cloud, just beyond a sense of awareness or physicality. 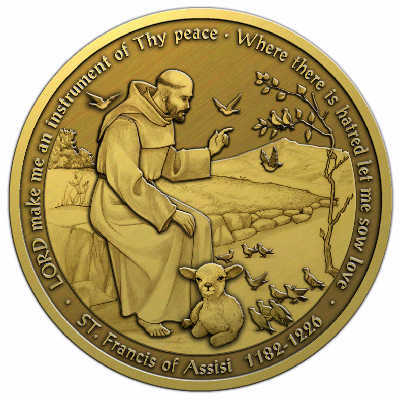 Peter places a coin in their hand, and reads a Word. 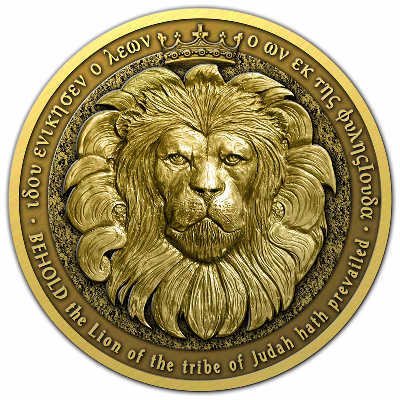 The coin shines bright, but it remains but a fraction of the light that is Jesus standing next him. For some the Lion faces up, and others the lamb. Immediately the military garb that rested on their body takes physical form, along with it an officer’s rank, which materializes on their shoulders. Some are Captain’s, some are Sergeants, some Major’s, some even General’s, all are commissioned into some kind of rank, yet none of these ranks are given by Peter, but the Companion who looks on. Some of the new officer’s begin running back and forth to collect further candidates, but most take their place back in the marching lines. With every commissioning, Jesus gently nods signifying His endorsement. A physical transformation takes place in each of our new young commissioned officers, and immediately the stature of rank envelopes their bodies, straightening to attention as they personify the advancement that was theirs all along, just waiting for it’s realization. There is a physical realization to the spiritual intuition! Many coins are given, few of varied colors of metal, and of various reflective response. The light reflected by the coins permeates and intensifies in each of these people, stronger in some body parts then others, as they take them in their hand. Some men their hearts glow, some women their feet become bright as diamonds, other men a power of light and brightness radiates from their eyes like the streams of sunlight, women gain strength as pulsating power crosses their backs preparing them for burdens that would have crippled Samson, men gain strength in arm, women clarity of eye, powerful swords of light and truth glow with white hot intensity from their belts, shields of power rest against strong, powerful backs, power and knowledge is manifested to take up this physical weapon for God Himself, generals get up from their bed, take up their mats with incredible ease of limb and march with thunder, minds glow with hidden truth for delivery to all areas of the globe, healers are empowered, teachers realize wisdom, preachers gain confidence, evangelist receive heart, missionaries grow in physical stature, fathers, mothers, brothers, servants, all gain… they become leaders. Each in their turn takes their coin and places it in their pouch, or pocket, places it around their neck resting proudly agaist their chest, we finding it multiplying as they put it away, all in proportion to each his calling; “to commission others”. They all have been granted knowledge to whom they will in turn give a commission. They then step back onto their path and in some miraculous method not a step is lost, changed, or the direction varied. The procession flows on as if nothing has changed, probably because nothing has changed, but strength has clearly been added. I see over the entire world many warriors fighting battles, reaching in their pockets, not looking for a weapon, but to feel a tangible symbol of God’s love. They hold the Lion and imagine His roar, touch the Lamb and experience a soft moving of His heart. Not necessary for advancement of rank, not the gift itself, but merely a token of remembrance that this moment event happened, the day of commissioning! Cool, and strong, something real, created by the shear power of God’s spoken Word. A physical manifestation of softly uttered faith. A Medal of Honor, given, not bought, paid for with fire, with death, death to self. A Holy commissioning in His army, carrying somewhat of the same sense as a dog-tag worn by a soldier, representing an oath, showing the heart of he who carries it, but not being the oath or heart itself. Given not bought… Given by Him. Just received a medallion from my brother inChrist, Pete in AZ. Though at first, I felt unworthy, I do know I am a warrior for Christ and He has given me not only the physical talents but the leadership and gentleness that has made me a successful teacher of my trade (one that influences children, young adults and adults as well). I am excited to search more about my “purpose”. God Bless you and your ministry. Peter and Rebekah, Thank you so very much. I am speechless, and when I do try to talk, I am a babbling idiot! I am surrounded in Peace, as well within my soul. Thank you for being His messenger, Thank you for reaching down into the pitts of hell, taking hold of my hand, and helping me to stand firm on His Love for me. My Medallion is so precious, more than words could ever describe. Tangible here in my hands, Forever real in my life. With much anticipation I look forward to sharing God with others.